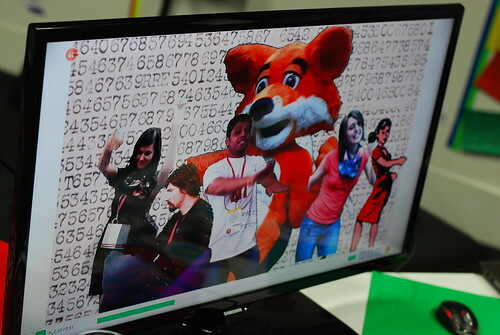 Here’s a sampling of what the 1,400 makers gathered in London made together at this year’s Mozilla Festival, as shared in the Festival’s closing Demo Party. 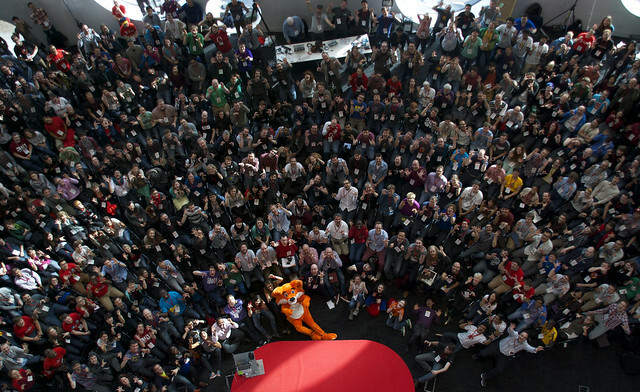 There’s lots more on the Festival blog, opening Science Fair, and the best photos are here. Many of these are early works in progress — please get in direct touch with the makers with your feedback, ideas and contributions. Are we missing something? Please comment on this post so we can make fast updates, additions and fixes! 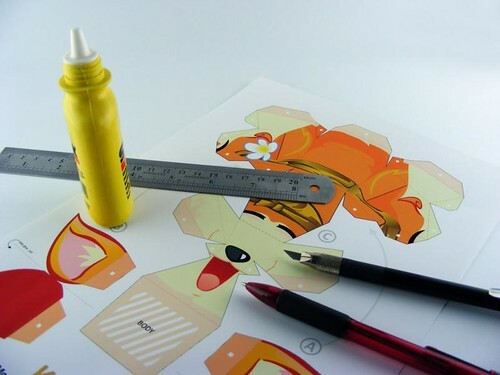 This project helps people learn basic 3D modeling skills. It’s a kid-friendly CAD program that got a great response from kids because it looks like Minecraft. 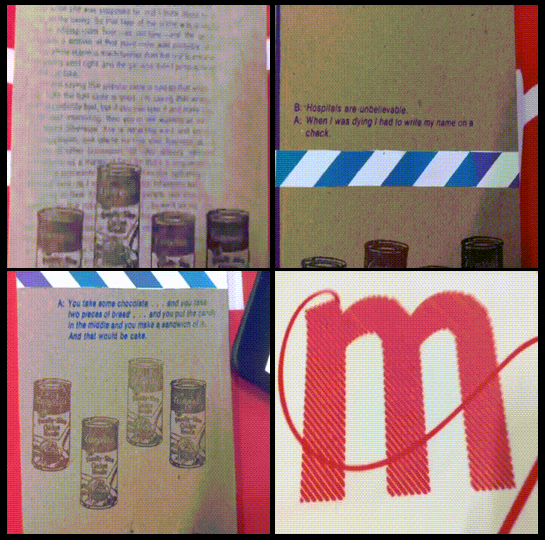 We’d like feedback from teachers about how they can imagine using this as a teaching tool. The software is all free. 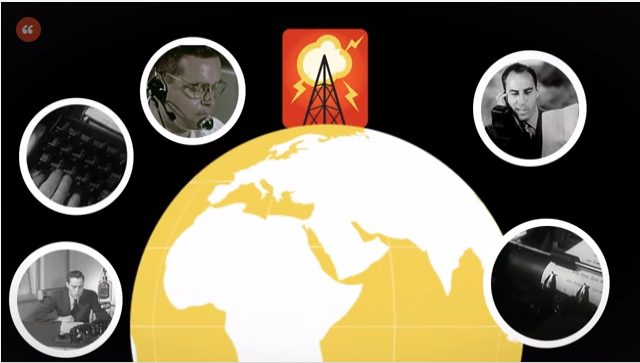 In many places around the world, communities come together to share news, mobilize and rebuild when traditional media, governments and support channels fail them. This project is about bringing web literacy and digital making to the core of these grassroots efforts and help rebuild. These guides help anyone host their own fun Maker Party activities. They use remixable teaching kits on Webmaker.org to help anyone create a How-To, teaching guide or resource that others can use, remix, adapt and improve, translate and share. This early draft provides a How-To for creating your own Hive. 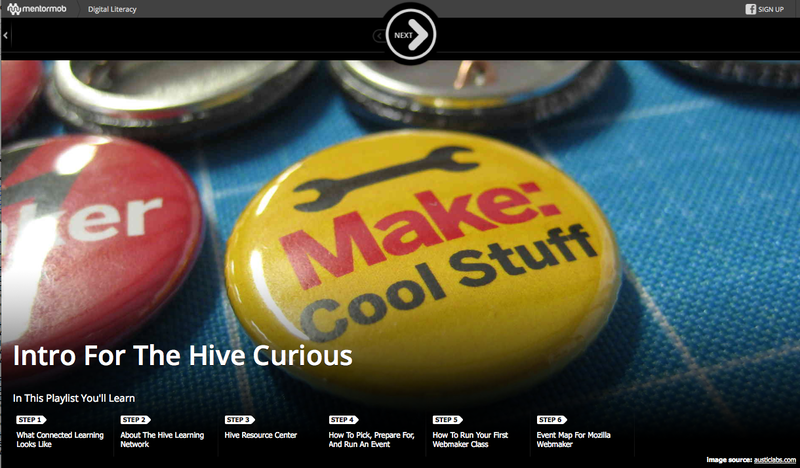 Its a curated collection of resources for the curious. 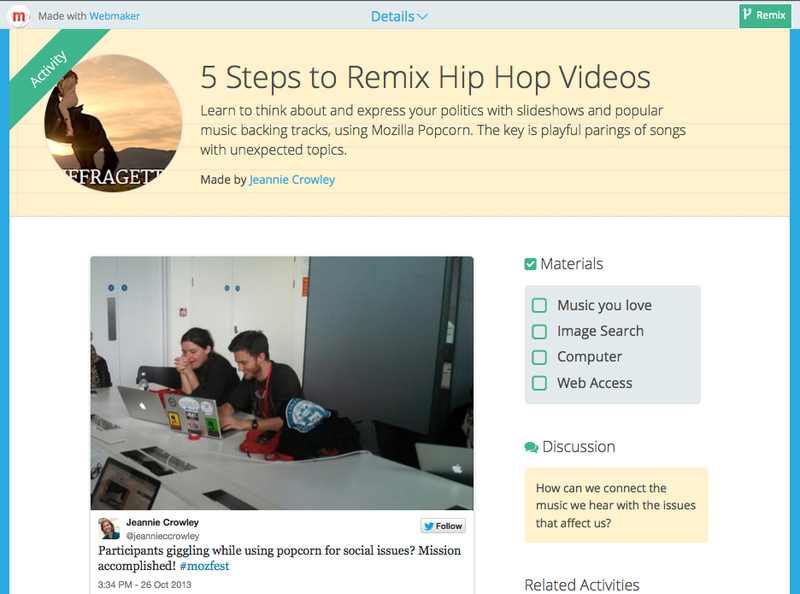 We’d like feedback on the format: is it intuitive? Is the information helpful? What else would you like to see? Where Have You Been — uses Rihanna to raise awareness of surveillance. Blurred Lines — uses a Robin Thicke song to talk about about bike lane. Stephen fortune (@quadrophobiac) and Adam Quirk and Erik Nelson, Wreck & Salvage (@wreckandsalvage) my partner in Wreck & Salvage. This project introduces new features and custom plugins in Popcorn Maker designed for international journalists and multilingual audiences. We’d like ideas for additional features that will help journalists tell multimedia stories in new and exciting ways for audiences around the world. We were inspired by the commitment of participants here to solving the challenges of multi-lingual news organizations, and reaching audiences in emerging markets. 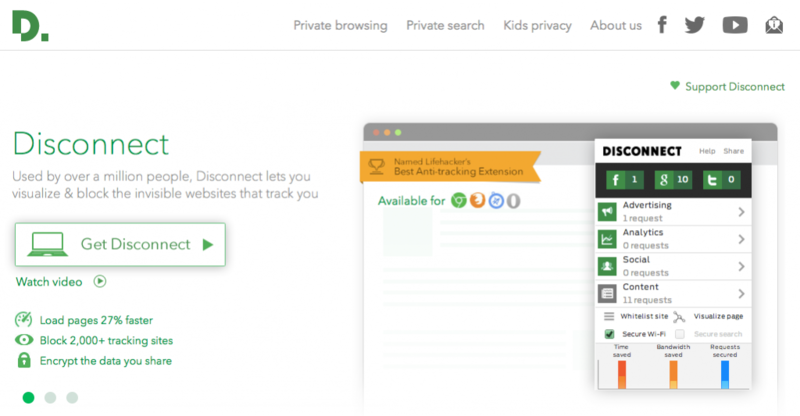 We did an AMA on Reddit for our new Lightbeam tool, designed to help you see who’s tracking you online. 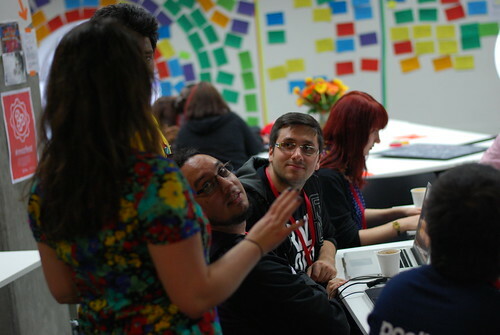 We’ve been at MozFest all weekend brainstorming and hacking the tech and curriculum to help educate users about what privacy on the web means. 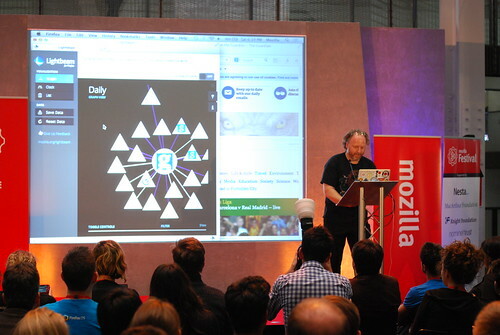 We took your questions on all things privacy, user data, Lightbeam, Mozilla, MozFest and more. This is a draft teaching kit on how to use Lightbeam in a workshop setting. It explains what cookies are, and how a browsing profile grows through third-party tracking. It will include a set of discussion questions, and hopefully start a wave of privacy teaching, learning and crypto-parties through the Webmaker network. Get in touch and leave your name—we’ll be meeting online in about two weeks to figure out next steps. 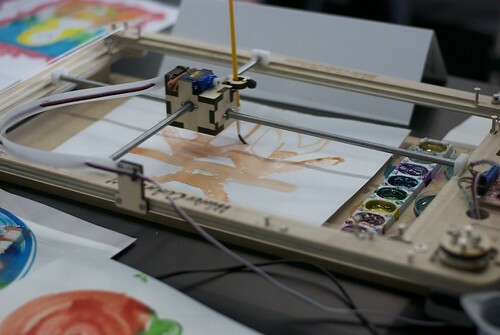 Sylvia’s dad, James: “This project helps learners learn how a robot can actually paint — and that with enough perserverance, you can make real hardware. My daughter had an idea for a robot that could paint, and she chased it, she came home with a working prototype after a week. She’s 12. 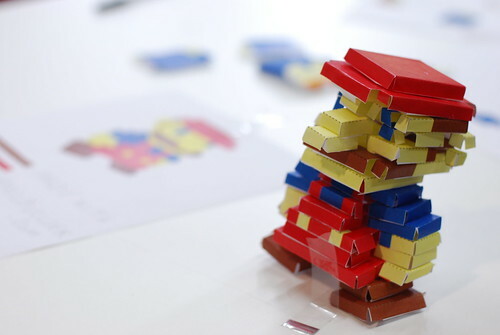 This project helps people make or learn by combining physical and digital materials, so they can engage and create with technology. 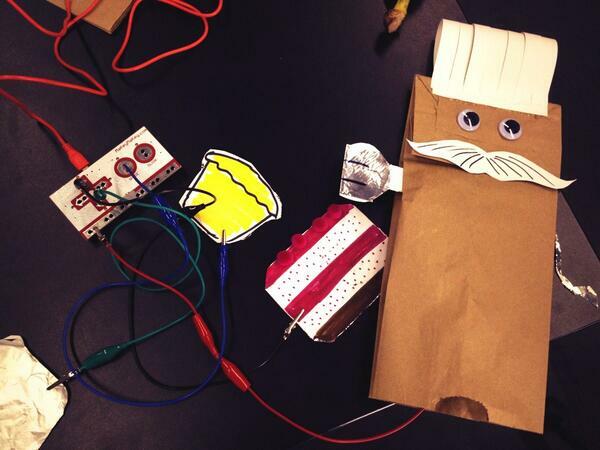 We’d like feedback on activity design, and other ways to meaningfully combine Scratch with Makey Makey. This project helps learners read a story and then explore further together with their class. We’d like feedback on ways to make the site better. Plus people who can help with the site, and ideas from kids! I was inspired by kids making amazing thing with clay. 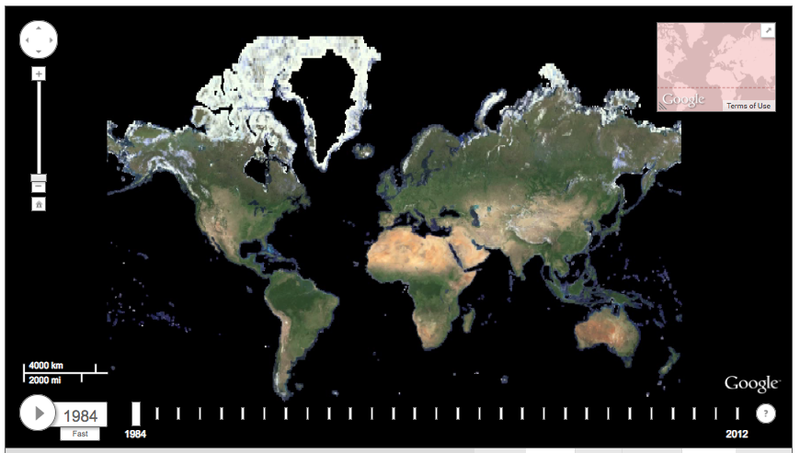 This project helps learners explore our changing planet through space and time. We’d like feedback on how to use zoomable timelapses in a classroom setting. How can we help you use our tools to make it easier to visualize your data? I was inspired by the work of the CREATE Lab. This project was the effort of many people. This project allowed visitors to help interpret, troubleshoot, and tag data collected using open source spectrometers. Daniel from Crowdcrafting connected Public Lab’s Spectral Workbench API to the Crowdcrafting system. One thing we’d like feedback on is how to use easy, fun activities that recruit contributors to open science projects. And also how to scaffold good experimental design for those new to these tools. I was inspired by the potential to interconnect different open science efforts to achieve even more exciting outcomes with better data. Linking open web apps with JSON is really easy! 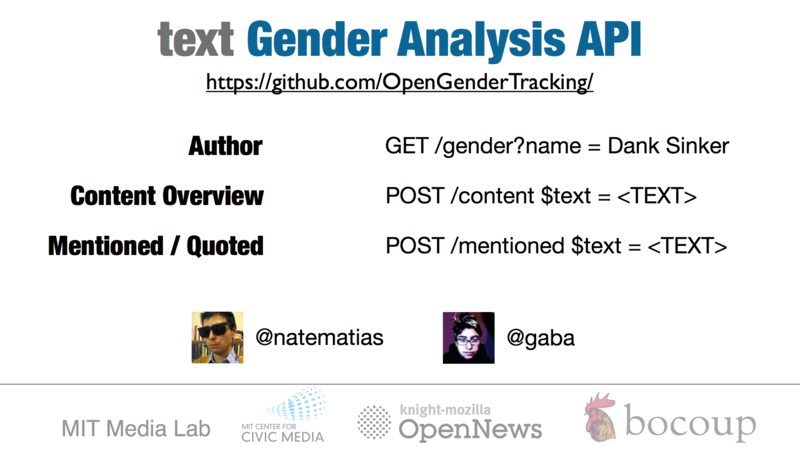 This project is a simple web API for finding out about the gender of who’s writing, written about, and mentioned in text. We were inspired by Adrienne La France’s article where she analyzed a year of her journalism using Open Gender Tracker, and we wanted to make it easy for anyone to do the same. Read more about our news measurement session. We’d love feedback on things you might like to use this API for — like personal tracking of media habits, a browser plug-in to help journalists check their copy before publishing, or analysis of newsroom content. It lets *anyone* make an app that lets them raise money for their favourite cause. 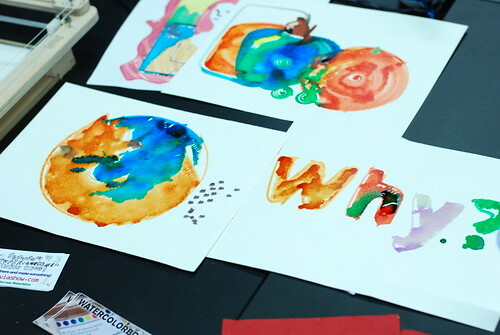 It lets Webmaker Mentors build apps that tell their personal stories, and lets them ask participants in Maker Parties to support Mozilla with a donation — collecting the donation right there, on the spot. And it creates new Appmaker widgets — like a PayPal widget to collect funds, Twitter widget to broadcast messages, and an OpenBadges widget that lets anyone claim a badge from an AppMaker app. 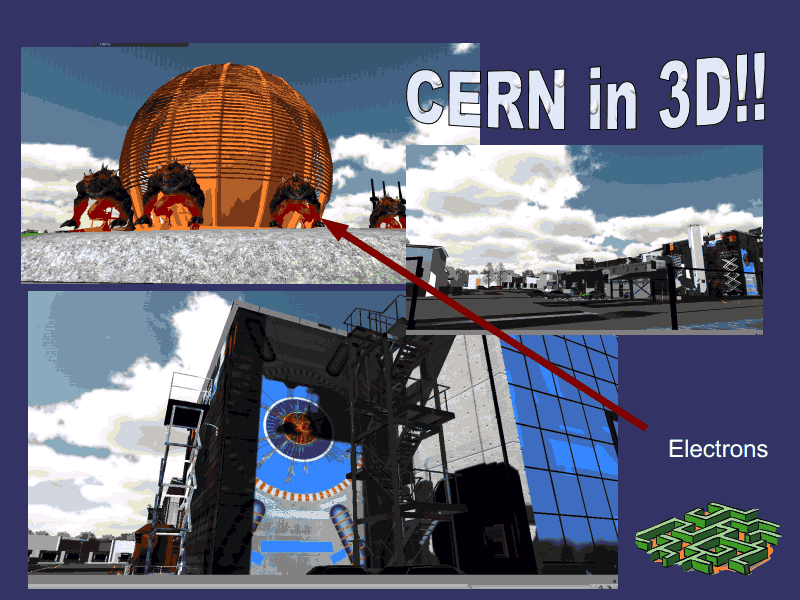 This project helps people learn about particle physics in a game. Learners play a 3D game in which they are the muon trying to figure out their decay chain. We’d like feedback on interesting level ideas for this game. Right now there is only one level, and were hoping for more. Just give us the idea and they can code it up. The project name. Plus a link if available. 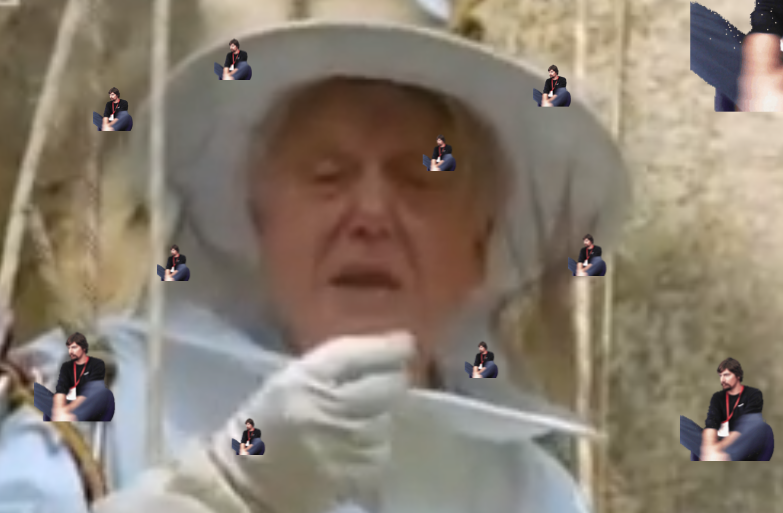 Who made it. Plus Twitter handles or other ways to get in touch. A photo. Or video, screen grab or other media artifact. How others can help. Something you’re looking for help or feedback on. I just updated a couple links that were broken — thanks Brad! Just to clarify, the #attenborrow #mozremix project also included Erik Nelson, my partner in Wreck & Salvage. Thanks to everyone involved for an incredible weekend! The badges team had several cool demos going including a badge directory search functionality developed by @thisandagain from diy.org. 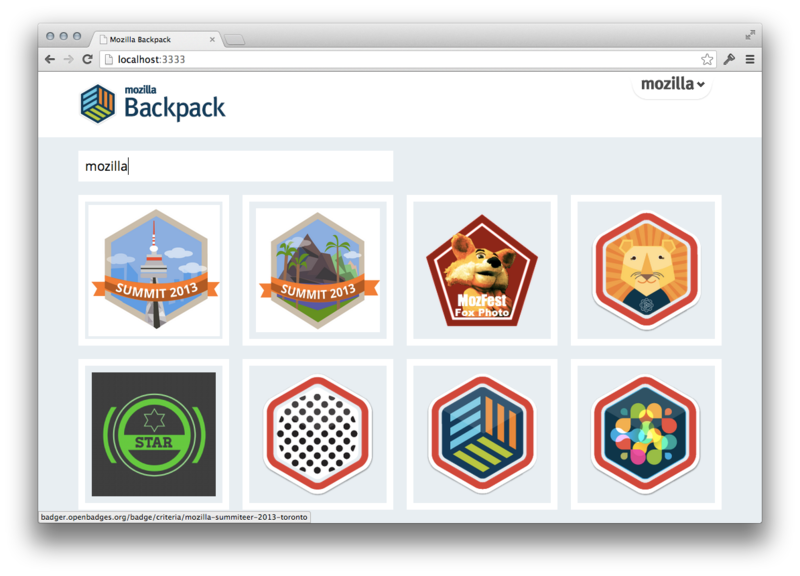 This enables one to search publicly available badges. We’re excited to further build out this functionality. There was one make which I guess is missing from this list (please ignore if by anychance I have missed the listing of this make in the blog above). 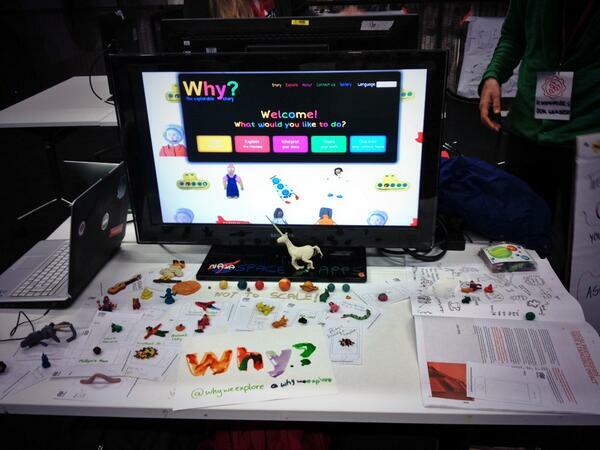 This is the webmaker kit that we were making as the teaching kit for “Girls in technology”. The video shows how Open Badges help solve crucial skill mentorship and communication problems during times of crisis. Excellent way of describing, and pleasant post to get facts on the topic of my presentation subject matter, which i am going to present in institution of higher education.